How do I create a custom TemporalAdjuster? In this example we are going to learn how to implement a custom TemporalAdjuster. We are going to create TemporalAdjuster to find the next working day from a specified date. We will use 5 working days, from Monday to Friday. The custom temporal adjuster class should implement the TemporalAdjuster interface, which define a single method that we must implement, the adjustInto(Temporal) method. The NextWorkingDayAdjuster move the temporal object a day forward. Except if it is on Friday or Saturday, which will move the temporal object three days or two days forward respectively. This will make it return Monday as the next working day. After creating the custom adjuster, now let’s create an example that use the NextWorkingDayAdjuster class. How do I manipulate LocalDate object using TemporalAdjuster? In the previous example we manipulate the value of LocalDate by adding or subtracting the value of date object by days, months, years using methods like plusMonths() or minusDays(). Or by changing the year or the month of the date object using methods like withYear() or withMonth(). But there are times that we want to manipulate the date object so that we can get the first day of the month or the last day of the month. We want to manipulate the date value to advance the date to the first Monday after the current day or the last the of the year. To manipulate the date object in this way we can use the with() method and pass a TemporalAdjuster object as an argument. Fortunately, the Date and Time API already provide some commonly used TemporalAdjuster. These TemporalAdjuster are provided as a static factory methods that we can find in the java.time.temporal.TemporalAdjusters class. The following example is a code snippet to manipulate the date object using TemporalAdjuster / TemporalAdjusters class. The table below shows the complete of static factory method provided by the TemporalAdjusters class. dayOfWeekInMonth Returns a new date in the same month with the ordinal day-of-week. firstDayOfMonth Returns a new date set to the first day of the current month. firstDayOfNextMonth Returns a new date set to the first day of the next month. firstDayOfNextYear Returns a new date set to the first day of the next year. firstDayOfYear Returns a new date set to the first day of the current year. firstInMonth Returns a new date in the same month with the first matching day-of-week. lastDayOfMonth Returns a new date set to the last day of the current month. lastDayOfYear Returns a new date set to the last day of the current year. lastInMonth Returns a new date in the same month with the last matching day-of-week. next Returns the next day-of-week adjuster. nextOrSame Returns the next-or-same day-of-week adjuster. previous Returns the previous day-of-week adjuster. previousOrSame Returns the previous-or-same day-of-week adjuster. How do I manipulate the value of LocalDate object? In the following example we will learn how to manipulate a LocalDate object. There are many methods available for us to change the value of a LocalDate object. For example we can change the year, month and day of LocalDate object. We can use methods like withYear(), withDayOfMonth(), plusYears(), minusMonths()>, etc. All these methods will return a new LocalDate object, the original LocalDate will stay unchanged. Let’s see the following code example for demonstration on how to manipulate the value of LocalDate object. In the previous post, How do I find the difference between two times?, we get the difference between two LocalTime objects in seconds measurement. In this example we will get the difference between two LocalDateTime objects and get the difference between these objects in years, months, days, hours, minutes, seconds and milliseconds. How do I convert between old Date and Calendar object with the new Java 8 Date Time? In this example we will learn how to convert the old java.util.Date and java.util.Calendar objects to the new Date Time introduced in Java 8. The first method in the code snippet below dateToNewDate() show conversion of java.util.Date while the calendarToNewDate() show the conversion of java.util.Calendar. The java.util.Date and java.util.Calendar provide a toInstant() method to convert the objects to the new Date Time API class of the java.time.Instant. To convert the old date into the Java 8 LocalDate, LocalTime and LocalDateTime we first can create an instance of ZonedDateTime using the atZone() method of the Instant class. From an instance of ZonedDateTime class we can call the toLocalDate(), toLocalTime() and toLocalDateTime() to get instance of LocalDate, LocalTime and LocalDateTime. To convert back from the new Java 8 date to the old java.util.Date we can use the Date.from() static factory method and passing and instance of java.time.Instant that we can obtains by calling the following code. Here are the complete code snippet to convert java.util.Date to the new Java 8 Date Time. The steps for converting from the java.util.Calendar to the new Java 8 date can be seen in the code snippet below. As with java.util.Date the Calendar class provide toInstant() method to convert the calendar to java.time.Instant object. Using the LocalDateTime.ofInstant() method we can create a LocalDateTime object from the instant object. By having the LocalDateTime object we can then get an instance of LocalDate and LocalTime by calling the toLocalDate() and toLocalTime() method. Finally to convert back to java.util.Calendar we can use the GregorianCalendar.from() static factory method which require an instance of ZonedDateTime to be passed as a parameter. To get an instance of ZonedDateTime we can call LocalDateTime.atZone() method. You can see the complete code in the code snippet below. 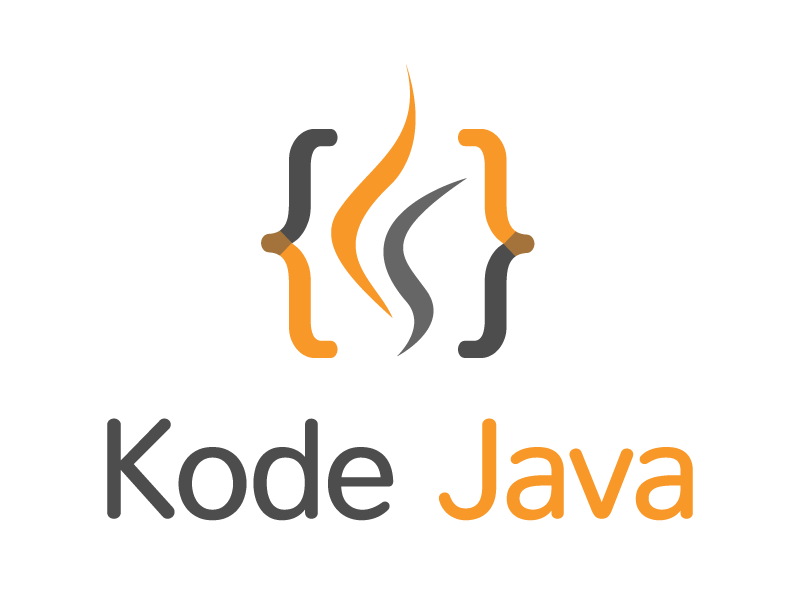 Below is the main Java class to run the code snippet. You must place the above methods inside this class to run the code snippet. Here are the result of the code snippet above. The first group is conversion the java.util.Date to the new Date Time API. The second group is conversion from the java.util.Calendar to the new Date Time API. In this example we will learn how to get the date of the first particular day that fall after a specific date. In the code snippet below we will find the first Friday that fall after the new year of 2016. First let’s create a LocalDate object that represent the new year of 2016. We can use LocalDate.of() factory method to create the date object. To get the first occurrence of a specific day-of-week from a date we create a TemporalAdjuster using the TemporalAdjusters.next() method and pass the day-of-week, in this case we pass DayOfWeek.FRIDAY. After that we create another LocalDate that will hold the next Friday date. The get the date for the next Friday we call newYear.with() method and pass the TemporalAdjuster that we have created earlier. Now, let’s try the code snippet below. // Obtains the current date. // Gets the next Friday. The java.time.DayOfWeek enums in Java 8 Date-Time API describes the days of the week. The enum has constants value from DayOfWeek.MONDAY through DayOfWeek.SUNDAY. These enums also have their integer values where 1 is equal to MONDAY and 7 is equal to SUNDAY. In the code snippet below you can see a couple usage of the DayOfWeek enums. We start by getting all the enum values using the values() method that return an array of DayOfWeek. We iterate this array and print out the enum value and its corresponding integer value. To create a DayOfWeek object we can use the of(int) factory method. We pass an integer value of this method. For example giving 1 will give us the DayOfWeek.MONDAY. We can also utilize enum valueOf(String) method to create enum from string value. To get the DayOfWeek from a date-time object we can use the getDayOfWeek() method. Below we get the day of week from a LocalDate object. We can also get the day of week for a specific locale. To do this we can use the DayOfWeek.getDisplayName(TextStyle, Locale) method. The TextStyle can be of value TextStyle.FULL, TextStyle.SHORT, TextStyle.NARROW which will give us the full, short, and narrow version of the display name. The example below get the display name for Indonesian and German version. // Get DayOfWeek display name in different locale. There is also a plus(long) method that can be use to add number of days to a DayOfWeek object. For example adding 4 to MONDAY will give us DayOfWeek.FRIDAY. // Adding number of days to DayOfWeek enum. How do I format date-time objects in Java 8? In your Java application you want to format date-time objects using the new date and time API introduced in JDK 8. A solution to this problem is to use the java.time.format.DateTimeFormatter. The DateTimeFormatter class provides formatter for printing and parsing date-time objects. With this class we can format the date-time objects using a predefined constants, there are many predefined ready to use formats, such as ISO_DATE, ISO_DATE_TIME. You can also using the pattern letters to format the date-time objects, for instance using the dd MMMM yyyy. The formatter can format in localized style, in a long or medium style. // Get system current date and time. // using a predefined formatter.